Communion with Christ in the eucharist is the greatest privilege and sweetest joy of Catholic life. However, we must not allow this heavenly banquet to displace the other feast to which we are called: that of the Word. 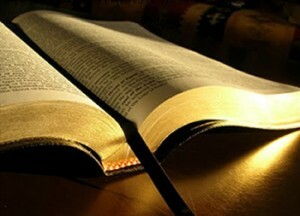 The Scriptures are, in their own way, heavenly food, and we must relish them with all due fervor. As the prophet Moses declared, “Man doth not live by bread only, but by every word that proceedeth out of the mouth of the Lord doth man live” (Deuteronomy 8:3). But our shepherds are also to blame, for the gospel of the crucified and risen Lord too often fails to sound from the pulpit. How often do we hear homilies in which the Lord is but a tangential figure? How often do we receive self-help and therapeutic platitudes in place of the promises of grace? How often is a verse or two used as a springboard for a discussion of some topic entirely unrelated to the day’s readings? How often is there superficial—even extemporaneous—commentary rather than learned, tradition-minded exegesis? Despite the efforts of the Church since Vatican II, the proclamation of the living Word remains unsatisfactory in many parishes: the Scriptures are considered, but they are not “opened up” in the Spirit to reveal the fullness of Christ crucified and risen. The exposition of the Old Testament is particularly weak. It is not unusual for the Old Testament reading to be simply ignored. Yet we declare in the Creed that Christ died and rose “according to the Scriptures.” This is not, contrary to casual assumption, a reference to the New Testament but to the Old. Similarly, when the apostles and evangelists wrote about the “Scriptures,” they had in mind the Law and Prophets of Israel. The writings of the ancient Israelites concern Christ no less than the Pauline epistles. It is not without reason that Isaiah is called the “fifth evangelist.” It was to Isaiah, not John or Luke, that St. Ambrose directed St. Augustine upon the latter’s entrance into the catechumenate. Christ is the interpretive key to the Old Testament, and in the Old Testament we see Christ from myriad intriguing angles. “And beginning with Moses and all the Prophets, He explained to them what was in all the Scriptures concerning Himself” (Luke 24:44). This should not be a secret to any Christian, let alone any Catholic. By the illumination of the Spirit, the veil that covers the Old Testament is torn away, revealing the spiritual treasures hidden therein: the treasures of the mystery of Christ, the God-Man. These treasures are the rightful inheritance of the Church. Explained St. Irenaeus, speaking of the Old Testament in the language of a New Testament parable: “Christ is the ‘treasure which was hidden in the field,’ that is … hidden in the Scripture.” But where is the Christological exposition of the Old Testament? Why are we not shown the whole Scriptural Christ? The psalms in particular are ripe with types and symbols, shadows and prophecies, which point to Christ. Indeed, they portray in striking detail His incarnation, death, and resurrection. Yet most homilies pass over the day’s psalm altogether. The handling of the New Testament is more capable by far, but even with the gospels and epistles, practical application and general theologizing are the order of the day. The laity deserves the proclamation of the crucified and risen Christ in power; it desires it, if unconsciously. Preach Christ Jesus the Lord. Let His name and grace, His Spirit and love, triumph in the midst of all your sermons. Let your great end be to glorify Christ in the heart and to render Christ amiable and precious in the eyes of His people, to lead them to Him, as a sanctuary to protect them, as a propitiation to reconcile them, as a treasure to enrich them, as a physician to heal them, as wisdom to counsel them, as righteousness to justify them, as sanctification to renew them, and as redemption to save them. Let Christ be the diamond to shine in the bosom of all your sermons. Propitiation, physician, wisdom: this is what Christ became for man. Justification, sanctification, redemption: this is what Christ accomplished for man. Therefore, pentecostal and evangelical preaching is nothing less than the presentation of the whole Christ—just as nothing less than the whole Christ is offered in the eucharist. By the power of the Spirit, the Lord is given to His people in glory and might for conversion and salvation. “So shall My word be that goeth forth out of My mouth: it shall not return unto Me void, but it shall accomplish that which I please, and it shall prosper in the thing whereto I sent it” (Isaiah 55:11). Preaching unto conversion: This is the duty of the priests of God. One sympathizes with the objection that our pastors are men already over-burdened, but the problem of poor preaching must be remedied. Gospel-rooted, Christocentric, and Spirit-fueled exposition of the Scriptures is crucial to the salvation of souls. The Apostle writes as much to the Romans, “How shall men be saved, unless they call upon the Lord Jesus? But how shall they call upon a Savior in whom they do not believe? And how can they believe in Him of whom they have never heard? And how can they hear unless one is sent to preach” (10:14). Then they that gladly received his word were baptized: and the same day there were added unto them about three thousand souls (Acts 2:37-41). We must remember that St. Peter preached all this in accordance with the Scriptures: that is, the Law and Prophets. The proclamation of the crucified and risen Christ is no ordinary pronouncement, and the Holy Scriptures are not simply the words of God, but the Word of God. Our shepherds must recognize the first point, and all Catholics must recognize the second. The Bible, especially in the context of apostolic preaching, is a sort of sacrament in its own right, delivering grace into the hearts of those who receive the Word in faith. The Lord said, “My words are spirit and life,” (John 6:63). Commenting on this verse, Origen wrote, “We drink the blood of Christ not only when we receive it in the celebration of the mysteries but also when we receive His words in which life dwells, as He Himself tells us: ‘The words I have spoken are spirit and life.’” What a remarkable affirmation of the power of the Scriptural Christ, whom we must encounter in the living Word if we are to call ourselves true and faithful servants of the Lord. Next Article If Only . . .
Officially, we have nothing but the highest regard for Scripture. But this reality often fails to manifest itself on the parish level. thank you so much for this article, as it is outstanding and brilliant. We meet God in the Eucharist and in the Bible. I am reminded of St Jerome “Ignorance of the Scriptures is ignorance of Christ”. Reading this article one realises that all Christians and Jews can share in the Psalms. Here in my parish I am lucky in our clergy, as their sermons are well prepared and excellent. Tomorrow night there will be a concert by the Scarsdale (NY) choir and orchestra at 8 pm (our time, which you might like to look at. If you look at it I will give you a wave. proceeds to Blackrock Hospice and the Church Roof Fund. This is an evening not to be missed while at the same time supporting two very worthwhile causes. From the web site you can click to the video broadcast, and note already the church has flowers ready for the event.